Fred Ingrams is a British artist who paints from life. Over the past few years his focus has been the marshy plains of The Fens, in eastern England. “It is a place”, says the artist, “full of strange stories, myths, strange place names and strange people”. We love Fred’s moody canvases, with their…Show more striking colour combinations and thick, expressive brushstrokes. 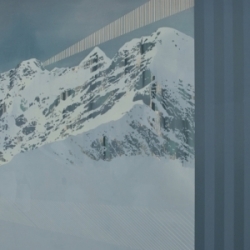 Fred studied at Camberwell Art School and London’s Central St. Martins. He spent a decade painting above the Coach & Horses pub in Soho before moving to Norfolk, where he is still based. "I adore Fred's pieces; he's extremely talented. 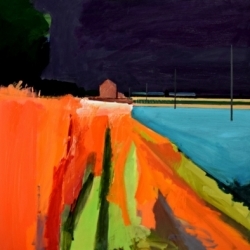 Vibrant and dynamic his work captures the strange and awkward beauty of East Anglia. Francis Bacon saw the beauty of Fred's work and bought one of his pieces." Stay in Touch with Fred! "Follow Fred to receive first access to new works for sale and the latest updates on events and activities."